LAKE PLACID, N.Y. — U.S. Olympic bobsledder Nate Weber will never forget the sound. He was going through a brutal outdoor summertime workout last year and was starting a series of outdoor sprints, when an extremely loud noise got his attention. Then came another noise, louder than the first. And another, louder yet again. This was no typical workout: It was on an Army base in Afghanistan, the noises were coming from mortars getting shot down only a few yards from where he was standing, and Weber wound up getting hit in the arms and face by small pieces of red-hot debris falling from the sky. He wasn’t seriously injured. He also finished his sprints. At the Olympics, Weber will be representing red, white, blue and green. He’s a Sergeant First Class in the U.S. Army, and a Green Beret. And he’s one of seven Army soldiers who will be sliding for the U.S. at the Pyeongchang Games that start next week, wearing the American flag in a foreign land — with the same level of pride that the 10th Special Forces member has during his three deployments abroad. He’s not alone. Besides the seven American soldiers competing on the track at the Alpensia Sliding Center in Pyeongchang — Weber is joined by fellow bobsledders Justin Olsen, Chris Fogt, and Nick Cunningham. USA Luge’s Olympic roster includes Army Sergeants Emily Sweeney, Taylor Morris and Matt Mortensen — but several coaches on the U.S. side have military backgrounds as well. Some are part of the Army’s World Class Athlete Program, which was formed in 1997 and has been represented on most U.S. Olympic teams since. Weber will be returning to his special forces unit about a week after the Olympics to get caught up on his real work. This could be the final Olympics for Fogt, whose military responsibilities are likely to be increasing soon since a promotion is likely. Sweeney said her push toward really getting physically and mentally ready for this four-year Olympic cycle came when she had to report for her scheduled duty not long after missing the 2014 Sochi Games. For whatever reason, soldiers make great sliders. Cunningham was a slider before he was a soldier. 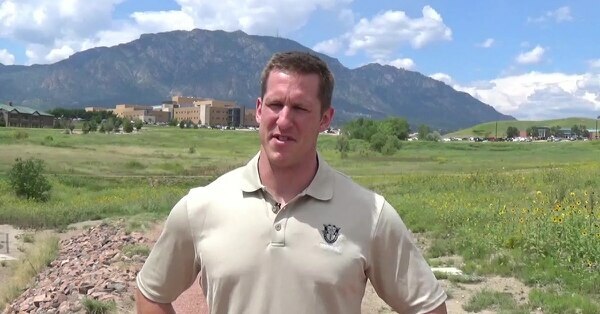 After hearing about the Army WCAP program from teammates and seeing the level of support those sliders were getting from the military, he signed up after competing in the 2010 Olympics. Through the GI Bill, he got his master’s degree in sports administration as he pursues life after sliding. All seven of the U.S. sliding soldiers know how to win, too. Olsen is an Olympic gold medalist, having been part of the four-man bobsled that was driven to victory at the 2010 Vancouver Games by the late Steven Holcomb — who also served in the military. Fogt won a bronze with Holcomb at the 2014 Sochi Games. Cunningham, Weber, Sweeney, Morris and Mortensen all won medals on the World Cup circuit this season. Getting to the Olympics is obviously a big deal for all 242 members of the U.S. team that’s headed to Pyeongchang. With the soldiers, the extra significance is also clear.